can make you huge gains TODAY! Some South Africans have been cashing in on Aristotle’s discovery for decades. You see, in one of his early writings Aristotle talks about a philosopher by the name of Thales. Thales was struggling to survive financially so he decided to ‘think outside the box’ by using by using what Aristotle called ‘a financial device’ to turn his situation around. Thales made an agreement with local olives owners to pay them money to guarantee he’d have exclusive use of the harvest when it came. He paid a low price for the total harvest because the harvest would only happen much later and no one could be sure of the outcome. Therefore, the local olive owners were willing to take up his offer because they could protect themselves against the possibility of a bad harvest. When harvest time came, the demand for olives shot up and Thales sold them at any rate and he made himself a fortune. The ancient discovery that could make you rich TODAY! Francois started out just like you. He had a good job, a house, a good life. But then one day he decided ‘good’ wasn’t enough. That’s when he started out as a private investor several years ago and he’s never looked back. Now he’s sharing his knowledge with everyday South Africans and helping them achieve their financial goals both in the penny share markets and trading futures. He’s now ready to take you under his wing! With an impressive track record (101% average gain over three years) and years of experience, Francois will guide you to SSF success! Order the Ultimate Single Stock Futures todayand pick his brain for a fraction of the cost of a one hour consultation with him. 1.Make money whether the stock market goes up, down or sideways! Imagine actually making money from the huge dips you hear about in the news. While everyone else is panicking, you’ll be watching your bank balance grow exponentially! Whether the markets go up, down or sideways, there’s a way to make money – and today you’ll discover everything you need to know to do it. Not only can you make big gains, you can use this secret to protect your current investments. Aristotle’s discovery is one of the best ways to protect your portfolio from falling markets and still make money. Get in and out of trades within weeks to bank more gains than any other investment. And these changes often happen within a few weeks, days or even hours. This opportunity is simply the best way for the average person to start making obscene amount of money quickly and consistently. So how exactly can you profit from Aristotle’s secret today? Well, it’s all about the power of trading Single Stock Futures (SSFs). SSFs allow you to put down the money for ten shares but profit from the movement of 100 shares.This means you can grow your wealth ten times faster! With the peace of mind of knowing your trades are in safe hands within the regulated environment of the JSE. You could’ve made a 71.36% gain on the 15th August and turned R5,000 into R8,568 in just four days! On the 15th of September you could’ve made a 27% gain in five days. Turning R8,568 into R10,881! Then you could’ve turned that R10,881 into R14,750 in 24 hours - thanks to a 35.56% gain on the 30th of September. And that’s just some of the amazing gains you could've experienced in that same six week period. That’s the potential of Aristotle’s discovery. It's easier than you ever thought possible, and now you can get access to this age-old money-multiplying system today! Skip the learning curve and be your own guru! Go from knowing absolutely nothing about SSFs to making your first trade in as little as seven days. The Ultimate Single Stocks Futures Guide is filled with examples, definitions, a full glossary and resource kit to make sure you understand all the basics before you get started. I don’t want you to miss a single step. 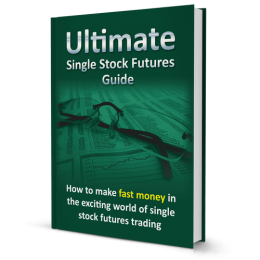 The Ultimate Single Stocks Futures Guide: How to make fast money in the exciting world of single stock futures trading come’s with FSP Invest’s 30-day-money-back guarantee. This means you risk nothing. You have a full 30 days to read the book from cover to cover and decide whether it’s worth the investment. If you have any doubts or aren’t happy for any reason whatsoever, simply return it and we’ll give you your money back. Act today to qualify for our special introductory offer! 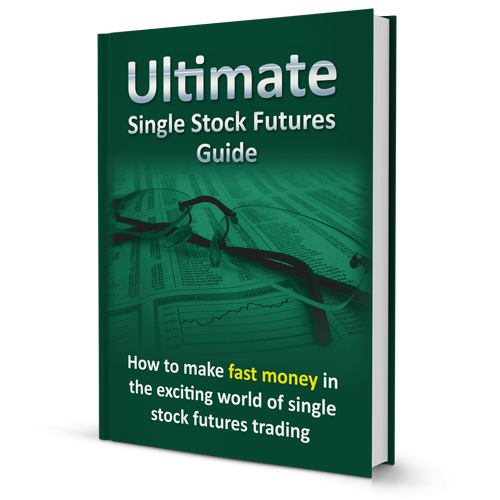 The Ultimate Single Stocks Futures Guide retails for R599. But for this special introductory offer you’ll get this amazing introduction into the world exciting world of single stock futures for just R399. But only until 30th June 2014. Every second you wait is a waste of money!